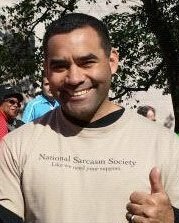 My guest this week is E. A. Aymar. I met Ed (well, cyber-met him) through Sisters in Crime. Yes, we Sisters welcome Brothers too or, as sometimes call them, Misters in Crime. Call him what you will, I’m delighted that he agreed to share his publishing journey with the readers of Birth of a Novel. E.A. Aymar studied creative writing and earned a Masters degree in Literature. He is a member of the Mystery Writers of America, the International Thriller Writers and SinC, and he and his wife live with a relatively benign animal menagerie just outside of Washington, D.C. For more information about his work, and to see the new animated trailer for I’ll Sleep When You’re Dead, please visit www.eaymar.com/novel. As soon as the door to being a professionally-published writer opened for me, it abruptly slammed shut. 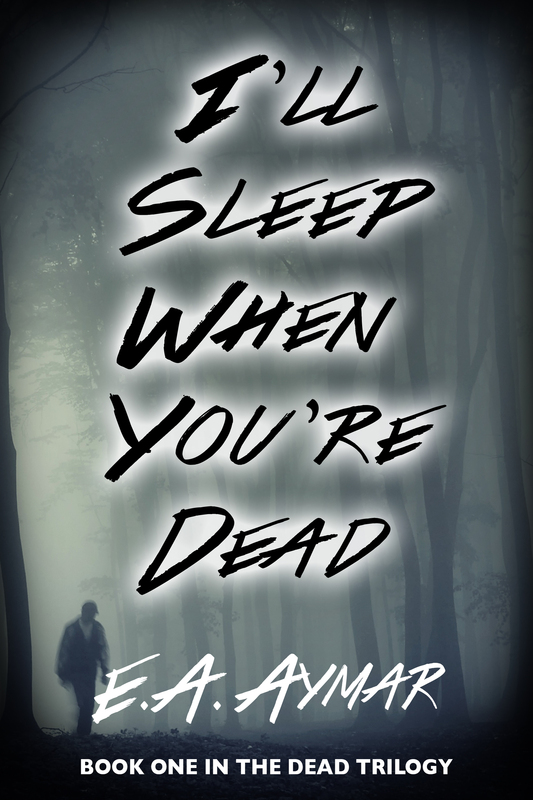 A small publisher had just acquired the rights to I’ll Sleep When You’re Dead, my debut thriller, and I was elated. This was my third novel and the first to be published, and I set about doing all the important things a writer needs to do (and should have already done): I put up a web site, created a blog, added Facebook, Twitter and GoodReads accounts, started drinking too much, etc. Times were good. Then, three quick months later, I received word that my publisher was shuttering. I felt awful when the news hit but I was lucky. That publisher had just put out books by other writers and, although those writers had the rights to their books returned, a new publisher is unlikely to reprint a book that has already been in the marketplace. Conversely, no work had been done on my book (in fact, I hadn’t heard from the publisher since my contract was signed), so I was free to market my work elsewhere. Again, I was fortunate: my next round of queries produced a half-dozen offers, and I had the rare luxury of choosing who to publish with. I chose Black Opal Books. This isn’t meant as a promotion for Black Opal, but for the purposes of this post, I’ve had a terrific experience. Black Opal does a lot well: they encourage conversation among their authors, the editing is top-notch, they keep a constant eye to the changing marketplace and they’re happy to work with you on the cover. Additionally, they’re recognized publishers with the International Thriller Writers and Mystery Writers of America, and both of those organizations are helpful to debut writers in my genre. It’s tough for any small business to succeed but, of the three publishing paths most discussed – self, small, legacy – this was the one I wanted. Unlike most writers outside of the legacy world, I actually don’t have a problem with Big Publishing; you hear horror stories about them, particularly from midlist authors, but most of the books I’ve loved have come through a big publisher. By all accounts, the process needs improvement, but the products are often impressive. Self-publishing has loud defenders and detractors, but it wasn’t right for me. For one thing, it’s tough to stand out in the crowded self-published market and, outside of that market, it’s tough to get respect. A number of stores won’t carry the books and a few organizations won’t accept self-published writers as full members. But it’s hard to argue against the idea of complete control, especially when you hear legacy-published authors gripe about the industry. With a small publisher, I had some control over my book and, more importantly, guidance in a complex marketplace. A year after making the decision, and despite the first publisher’s demise, it was still the right decision for me. No matter what you hear about the industry or how strong someone’s arguments are, truthfully, there’s no one correct path. Just the right path for each book. Ed, thanks so much for stopping by and sharing your experience. I think you’re right; there’s no one right path. We all have to find what works for us. Very useful comments, Ed, for someone who has done the writing but hasn’t yet committed to any particular publishing path yet – thanks. Thank you, Ed. Ours can be a very difficult career path to navigate. Thanks all, and thanks for hosting me, Sandy! Much appreciated. My pleasure, Ed. It’s an interesting post, a good analysis of the choices offered to writers today. By the way, this is the first time I’ve had a trailer on this blog. Really adds interest. Good job. Some time I’d like to learn more about its production. It’s true. The thought of self publishing makes me tremble. The hot dog analogy was right on point, no need to think about pigs snout and chicken feet when I’m biting into one. The end product is delicious.